After two 14 hour bus rides and having to spend the night in Tapachula, Mexico, I finally arrived in Puerto Escondido, Mexico on Monday morning. I've had a couple people tell me I was crazy for doing this whole trip on bus, but God has blessed me so much through it. Needless to say that I've been saving ridiculous amounts of money, but I've also spent a lot of precious time in prayer and meditation on these buses. Central America is a highly traveled part of the world by backpackers too and I have had some God-sent encounters as well. I was excited to arrive in Mexico for a couple reasons. 1) I love Mexican food. 3) Playa Zicatela is easily the most powerful wave in all of Central America. Mike Allbutt is the current National Director here with CS. He moved to Mexico 5 years ago from Australia with his wife and two kids and have had two more children born since they've been in Mexico. Aside from being very involved with their community, Mike and family host a couple different bible studies during the week and host a larger Christian Surfers meeting every Saturday (pictured above). 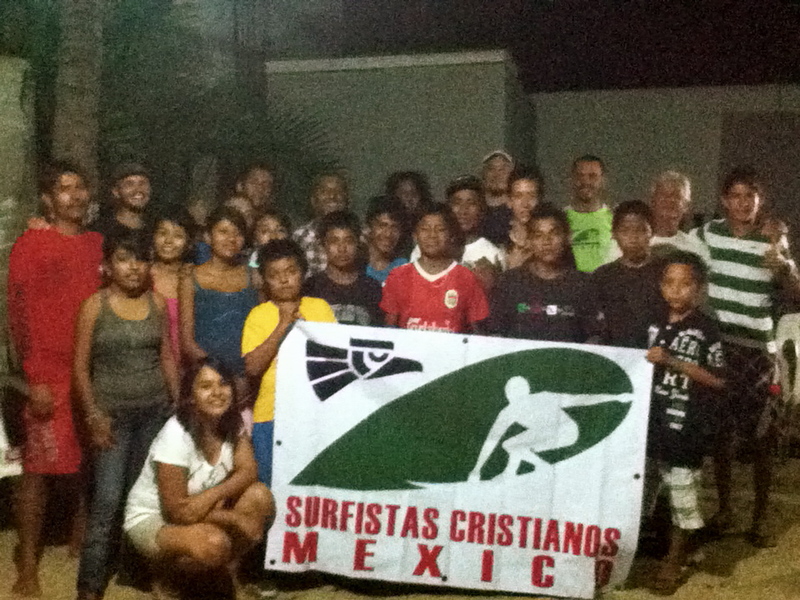 This chapter in Mexico has been growing a lot in the past year and there are numerous other beach communities that have begun ministry and are in the process of joining Mike in what is Christian Surfers Mexico. I spent the week with Mike and his family. They were a blessing to me and great hosts. Cal arrived on Wednesday with his wife Coral and I was able to spend a lot of time learning from him and discussing the progress of my travels thus far. We were also able to spend a little time planning for the International Conference we are hosting in November. It was great spending a few days with him. I am currently in Guatemala visiting the last country on my trip. Although I am fully focused and present where I am, I am ready to get back home to the DR. I will arrive back home on August, 3rd.